Green energy startups aren't getting the kind of government help they've had in the past, and investors say that's reason for them to stay away from the industry. Green energy startups are feeling the sting of rejection by investors concerned about falling energy prices and the future of government support. The boom in natural gas has hurt the competitiveness of alternative energy. 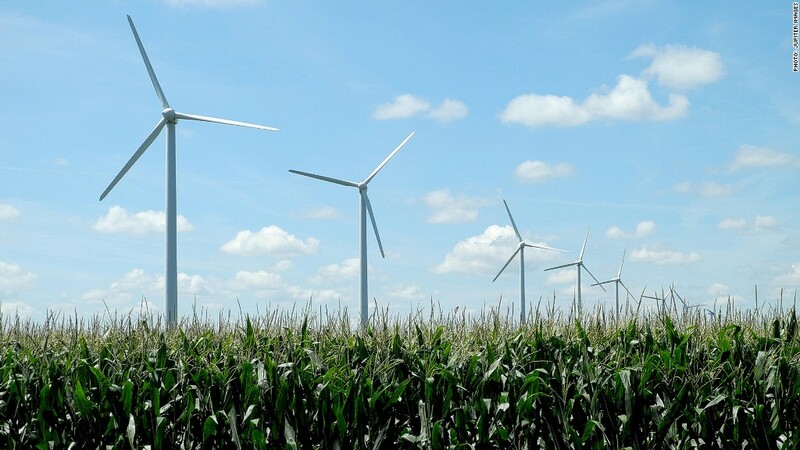 And proposed budget cuts would force the government to dial back support of wind farms, solar panel manufacturers, ethanol producers and makers of alternative fuel cars. In response, investors say they won't lend money to green energy companies, especially startups, because they haven't proven they can be profitable on their own. Rosa McCormick, managing director of Wild Basin Investments in Austin, Texas, said that's particularly true for doomed solar panel makers, such as Solyndra and Abound Solar. U.S. companies can't lower prices enough to compete with solar panels imported from China, which provides big subsidies. "The bottom fell out of that market," McCormick said. "No one wants to touch that. It's toxic from an investor point of view." U.S. wind energy companies face a different set of problems. A federal tax credit that pays 30% of costs for new wind farms is set to expire at the end of this year. If Congress doesn't renew it, new turbine construction could "dramatically slow," according to a recent Energy Department report. Orders for new turbines for 2013 have already dropped, and the industry is in for "a significant shakeup," according to Matt Kaplan, associate director of IHS Emerging Energy Research in Cambridge, Mass. Another headwind moving against that industry -- and the growth of green energy in general -- is the falling price of natural gas, which is less than half what it was just a few years ago. Why invest in alternative energy when natural gas is abundant and cheap? Danotek Motion Technologies is already feeling the market pressure. The wind energy firm in Canton, Mich., is building magnet-powered generators that serve as the heart of wind turbines. It had 50 employees in 2010 and planned to hire hundreds more. Instead, it has scaled back to 30 workers. "The market's down. That puts a dilemma in place that affects our volume and growth," CEO Don Naab said. Companies involved in the creation of ethanol fuel, derived from corn, are also facing pressure. 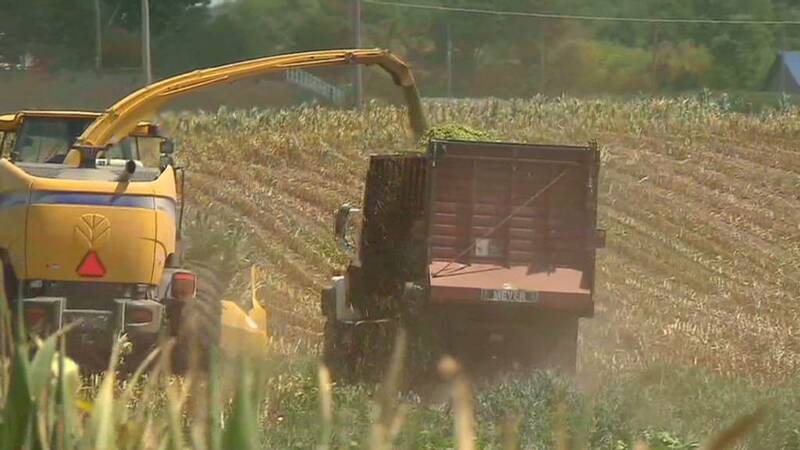 The ongoing drought has devastated crops and caused the price of corn to skyrocket. Dozens of lawmakers have called for a review of the federal government's mandate requiring that ethanol be blended into gasoline. Bob Calcaterra, managing director of St. Louis-based StartUp Midwest Management, is avoiding investments tied to the ethanol industry. There's too much reliance on government assistance, and there's no telling how long that will last. "Smart angel investors stay away from them," Calcaterra noted. In Michigan, state tax credits for green energy companies have disappeared under Gov. Rick Snyder, a Republican. Those companies now compete evenly with all others. Steve Bakkal, head of the Michigan Energy Office, summed up the new policy as, "Let the market decide what industries make it." "We're not the ones dictating alternative energy is better than the IT industry or any other in Michigan," Bakkal said. "That's not for us to say." As government support declines, so does private investment for startups. "The reason why those industries got venture capital is because there were government subsidies, artificial support to customers," said John Harbison, an active deal lead at Tech Coast Angels. "Those programs are going away. The political environment isn't there to support it."